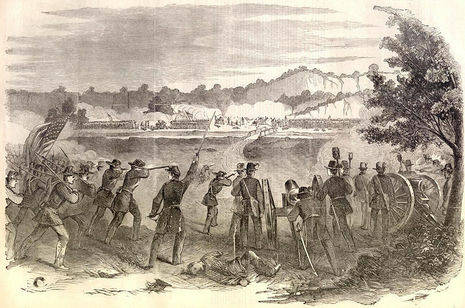 The Battle of Carthage, also known as the Battle of Dry Fork, took place at the beginning of the American Civil War on July 5, 1861, in Jasper County, Missouri. 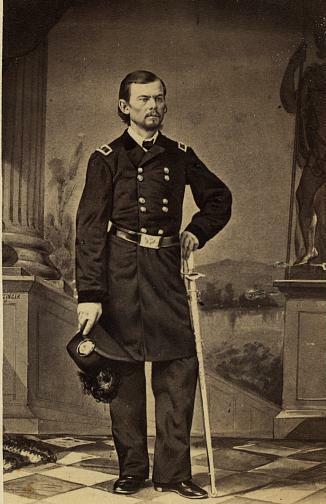 The experienced Colonel Franz Sigel commanded 1,100 Federal soldiers intent on keeping Missouri within the Union. The Missouri State Guard was commanded by Governor Claiborne F. Jackson himself and numbered over 4,000 unorganized, inexperienced soldiers, along with 2,000 unarmed troops who did not participate in the battle. The battle was rather meaningless from a tactical or strategic view, though it was deemed a victory by the Missouri State Guard. Carthage played a part in determining Missouri's course during the war, as it helped spark recruitment for the Southern regiments. Political views in Missouri were divided before the Civil War. St. Louis and its surrounding counties generally sympathized with the Northern states because that region was connected economically with North. The area also had few slaves and contained a large German immigrant population, most of whom opposed slavery. 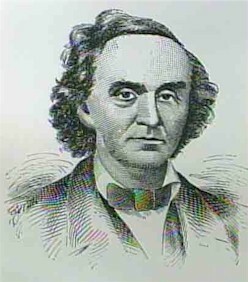 Missouri Governor Claiborne F. Jackson was pro-Southern, and the rest of the state was very heavily divided. Publicly Jackson tried to stay neutral, but he was suspected by the Union men of secretly preparing the state militia to seize the Federal Arsenal in St. Louis. In April 1861, after the firing on Fort Sumter, President Abraham Lincoln called for troops from all of the states to defeat the Confederacy. Missouri was asked to send four regiments. Governor Jackson refused the request. Instead, he called up the Missouri State Militia, possibly to seize the St. Louis Arsenal. If this was his intention, it was thwarted by the newly appointed commander of the arsenal, Captain Nathaniel Lyon of the 2nd U. S. Infantry. Lyon was an abolitionist and had plans of his own for the arsenal. He used its weapons to arm a Radical Republican paramilitary organization called the Wide Awakes. To prevent the secession favoring governor and his supporters from seizing the arms, Lyon secretly had most of the arsenal's weapons moved across the Mississippi River to Illinois. 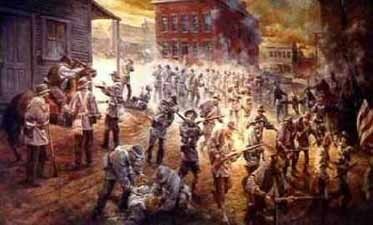 He then surrounded the state militia's camp, forced them to surrender, and unwisely marched them as prisoners through St. Louis, inadvertently inciting a deadly riot (the Camp Jackson Affair.) The action drew great protests from Missourians, and even representatives of the City of St. Louis petitioned Lincoln for Lyon's dismissal. Lyon, however, was politically connected to Postmaster General Montgomery Blair. Blair arranged for Lyon's promotion to brigadier general and saw that he was given command of the Army of the West in place of Gen. William S. Harney, a moderate. On June 10, 1861, Lyon personally met with Governor Jackson in an attempt to resolve their differences in a "gentlemanly" manner. The conference proved futile, with Lyon storming out of the room and declaring that the war was on. Lyon moved his Army of the West up the Missouri River to capture the state capital at Jefferson City, leaving General Thomas Sweeny to take steps to move his troops out of St. Louis. Sweeny was delayed due to logistical problems, so Col. Franz Sigel took command of the Federal advance. On June 12 he started to move his First and Second Battalions, along with 5 infantry companies, 2 rifle companies, and an artillery battery towards Springfield. The Missouri State Guard retreated to Boonville, where a pivotal skirmish took place on June 17. Lyon quickly took the town and chased the Missouri State Guard south. Again due to logistics, Lyon could not keep up with the retreating Guardsmen. Another group of State Guardsmen in Lexington also moved south under Sterling Price, after learning of the defeat in Boonsville. Sigel’s troops arrived in Springfield and quickly took the state capital. They prepared to march to Carthage, hoping to catch up with the retreating State Guardsmen. Jackson’s and Prices’s units met in Lamar on July 3 and started to organize. Jackson’s army grew to 6,000 men, a large number of whom joined along the march south. However, the force in Lamar was for the most part armed only with hunting rifles, shotguns, knives, or nothing at all. The next day, July 4, Sigel arrived at Carthage with his 1,100 men. Learning that Sigel had encamped at Carthage, Governor Jackson took command and made plans to attack the smaller but better armed Union force. On the morning of July 5, Jackson marched his green soldiers south. The rival armies met 10 miles north of Carthage, and the State Guard raised two Confederate stars and bars flags on either side of their line, which stretched over half a mile. Sigel’s men provided an impressive display as they formed a line of battle and moved within 800 yards of the State Guard troops. Opening the action with his artillery, Sigel closed to the attack. Jackson replied his own artillery. Both sides then engaged in some skirmishing. However, spotting a large Confederate force—actually all unarmed recruits—moving into the woods on his left, he feared they would turn his flank. He ordered a retreat. The Confederates pursued, but Sigel conducted a successful rearguard action. By evening, Sigel was back in Carthage. Under the cover of darkness, he retreated further to Sarcoxie.